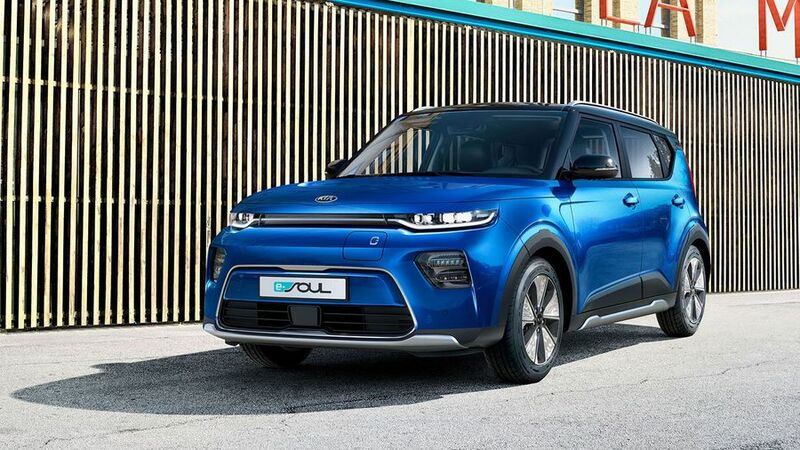 This is the new Kia Soul EV, a brand new version of the Soul that will only be available as a full electric vehicle. Shown for the first time at the Geneva Motor Show, the Soul EV has a new look and a range of up to 280 miles, depending on which version you go for. 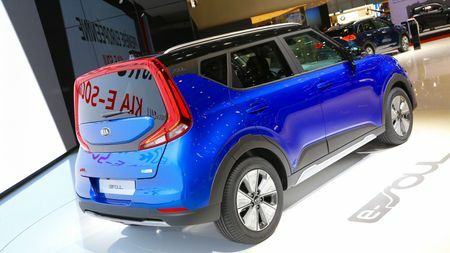 Kia will offer a long-range 64kWh version, or a standard-range 39.2kWh model that has a 172-mile range. The motors are more powerful than the outgoing Soul EV, and the batteries can hold more energy. The 64kWh Soul has 204 horsepower, with a 0-62mph time of 7.9 seconds, while the standard 39.2kWh car has 136 horsepower and a 0-62mph time of 9.9 seconds. Both cars can charge from 20-80% in 42 minutes on a 100kW fast charger. Other features include full LED headlights and 17-inch alloy wheels, with a choice of seven paint colours and seven roof colours to mix and match. 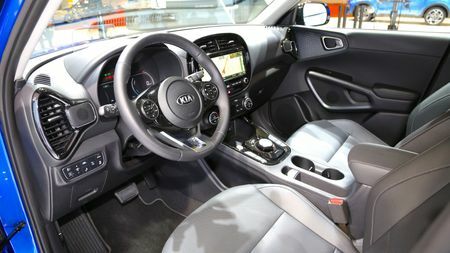 There’s also a new infotainment system that includes telematics from the car, giving the owner diagnostic data such as battery charge through an app. Like other Kias, the Soul EV will have an impressive seven-year/100,000-mile warranty, which includes the electric motor and battery pack. UK specification and pricing hasn’t yet been announced, but the Soul EV will go on sale in late March, early April. Find out more about all the cars from the 2019 Geneva Motor Show. Interested in buying a Kia Soul?